The government has made no effort to take responsibility for the financial mismanagement that led to its current losses, whether that be by the Liberals and/or the NDP. Nor did it announce plans to penalize at-fault drivers, speeders, impaired drivers and/or distracted drivers (whom ICBC specifically mentions as being responsible for increasing numbers of claims). Instead, they are going to make good drivers and innocent victims pay for bad drivers and government mismanagement. It’s hardly shocking since the Liberal government admitted, just over one year ago, that it had taken $1.2 billion from ICBC coffers since 2010 via dividend profits. That means ICBC is not exactly the financial dumpster fire that the NDP claims; rather, it has produced significant profits for our provincial government in recent years. 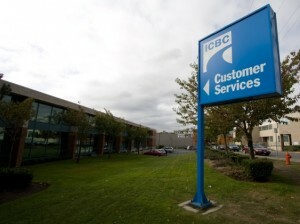 The NDP are setting up a WCB style system for ICBC. Whenever a government plan involves the creation of tribunals, you can bet that administrative efficiency isn’t going to be high on the list of expected outcomes. → ICBC Excess Underinsurance – Buy It?